Yemen’s blockade is an inhumane scenario, leading to a severe shortage of basic necessities, said Afkham. Iran has warned of the deterioration of humanitarian situation in Yemen, urging international organizations to take effective measures to send immediate relief aid to people in the war-wracked country. “Yemen’s blockade is an inhumane scenario and the continuation of Saudi Arabia’s obstructionism with regard to the delivery of humanitarian aid has led to a severe shortage of basic necessary items including medical stuff, drinking water, bread and [other] foodstuff,” Iran’s Foreign Ministry Spokeswoman Marzieh Afkham said on Monday. 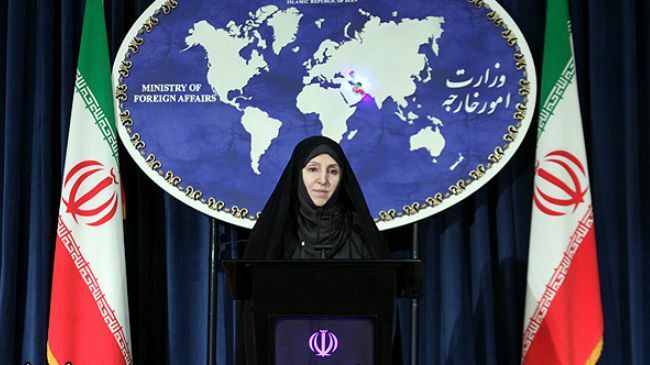 She added that Iran is preparing a report to be sent to different international authorities about Tehran’s various measures to dispatch humanitarian aid for the Yemeni people and Saudi Arabia’s moves to prevent the delivery of relief assistance. The spokesperson emphasized that Iran is examining ways to dispatch its humanitarian aid to Yemen in cooperation with the International Committee of the Red Cross (ICRC). She said many negative aspects of Riyadh’s military aggression against Yemen and the humanitarian catastrophe there have not been disclosed due to the silence of humanitarian bodies and absence of impartial media. As Saudi Arabia continues to block Iran’s humanitarian aid delivery to Yemen, the Iranian Red Crescent Society (IRCS) has decided to dispatch relief aid to people in the war-wracked country through Oman. Saudi Arabia on April 28 forced an Iranian cargo plane carrying medical aid and foodstuff for crisis-hit people in Yemen to return. The Iranian aircraft, which had earlier received permits from Omani and Yemeni aviation officials to cross into Yemen’s airspace, could not land at the international airport in the Yemeni capital, Sana’a, as Saudi warplanes were violently striking the runway of the civil airport. The development came less than a week after Saudi fighter jets intercepted an Iranian airplane, carrying humanitarian aid to Yemen, and prevented it from entering the Yemeni airspace on April 22. Saudi Arabia started its military aggression against Yemen on March 26 – without a UN mandate – in a bid to undermine the Houthi Ansarullah movement and to restore power to the country’s fugitive former president, Abd Rabbuh Mansur Hadi, who is a staunch ally of Riyadh. The Saudis claim the airstrikes only target military positions. However, reports show civilians and infrastructure in civilian areas are being attacked. In a recent report, Human Rights Watch said evidence shows Saudi Arabia has used cluster bombs in the northern province of Sa’ada in recent weeks.